When I first read about the mural that was going to be painted on the façade of Inces Hall I honestly thought it was an April Fool joke that had leaked. 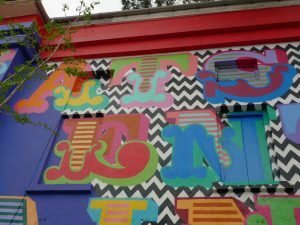 The story was published in the Gibraltar Chronicle on 30th March and the street artist responsible, whom I confess I’d never heard of, was Ben Eine. Nothing ‘benign’ about this, I thought: it must be a prank. I soon realised it wasn’t. 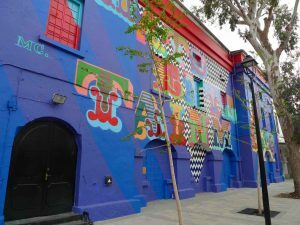 Call me a stick in the mud, but painting one side of Gibraltar’s most august playhouse shocking blue and covering it with large, garish letters that spell out a tired theatrical cliché is not something I appreciate. And I didn’t like it any better after seeing it in situ, which the government said was the best way of understanding this “popular form of public art”. Of course art by its very nature is subjective. But I don’t see why a painting that incorporates text should be wilfully ungrammatical. The two-word message emblazoned across the side of the theatre is evidently missing an apostrophe. Arguably, it’s also missing an exclamation mark at the end. But when this is pointed out to the artist, he blithely replies that he doesn’t do punctuation marks. Why ever not? In an age of falling literacy standards why contribute to the decline? For my part, I would have found the mural just a little more palatable if at least its inscription were in good English. I’ve highlighted the Inces Hall project because it’s the most prominent of our apostrophe catastrophes. It certainly isn’t the only one, however. They’re rife on temporary road signs and menus in particular. Why, for instance, does this blackboard outside a much-frequented Main Street establishment get all the plurals correct (we’ll let ‘pastas’ pass) except the one for a traditional Indian dish? 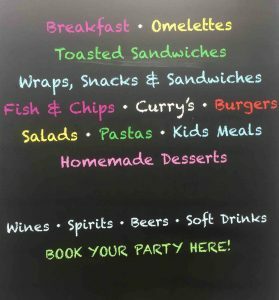 There’s also a second error involving a missing apostrophe, but where exactly should it go? Answers on a postcard, please! Proper names provide another pitfall. 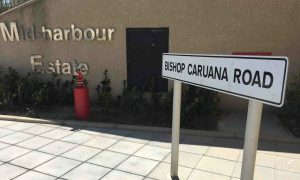 Bishop Caruana Road reminds us of the late and much-loved Roman Catholic Bishop of Gibraltar, Charles Caruana. The road is named after him but he didn’t own it. 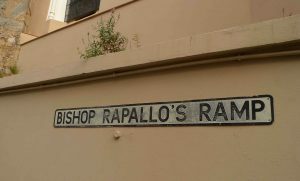 Bishop Rapallo’s Ramp, on the other hand, implies to me at least that the lane behind the Cathedral of St Mary the Crowned belonged to the first Gibraltarian Bishop, Edward Rapallo. Naturally, it didn’t. Albert Risso House but Gustavo Bacarisa’s House. Armstrong Steps but Boschetti’s Steps. Lady Williams Close but Eliott’s Close. And, coming full circle, what of Inces Hall itself? It’s spelt like that on the actual building, and is commonly written as “Ince’s”. But unless the theatre was the property of the famous artificer who masterminded the construction of the Great Siege Tunnels, or a namesake, shouldn’t it actually be Ince Hall? We do, after all, have an Ince House! (In Moorish Castle Estate). 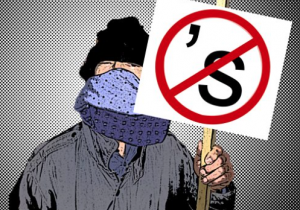 By coincidence I learned about the Ben Eine mural at around the same time that I became aware of the existence of the Apostrophiser, a self-styled grammar vigilante from the south west of England, who for the past 13 years has been patrolling the streets of Bristol at night, furtively correcting signage mistakes. An engineer by profession, he has designed his own “apostrophiser pole” which he uses to affix a sticker over an incorrect apostrophe or insert one where required. He was the subject of a BBC radio report. And he even merited an editorial in The Times, which praised him for performing a public service in aid of free expression. 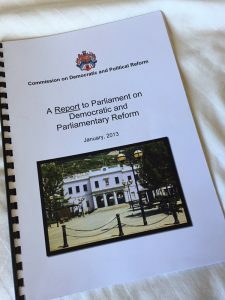 The sad passing recently of Dr. Cecil Isola brought to mind just how difficult it is for anyone who’s not a member of a political party in Gibraltar to obtain a seat in parliament. 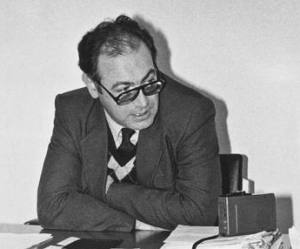 Dr. Isola stood for election three times as an Independent and in 1980 was just 804 votes short of making it into opposition. But even then there were five other candidates who stood as part of a party line up who got more votes than him and who also failed to get elected. There are numerous other examples down the years, the most celebrated of which is Dr. Reggie Valarino a quarter of a century ago. 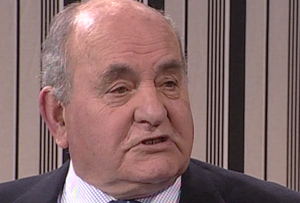 Having previously served as both a minister and opposition member with the AACR he stood on his own in 1992 and missed out by an agonising 98 votes. 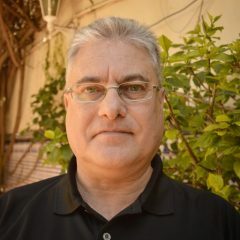 Dr. Valarino actually attracted more than twice the support of future deputy chief ministers Joseph Garcia and Keith Azopardi who that year were on the same ticket with the Gibraltar National Party, forerunner of today’s Liberal Party. But, for all that, Dr. Valarino didn’t make it and no other Independent has come as close since. The main obstacle is our electoral system. 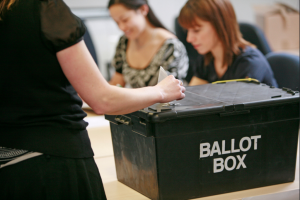 As anyone who’s voted knows, you can mark up to ten crosses on the ballot paper alongside the names of the candidates you wish to vote for, but may only give each candidate one vote. This means that unless a significant number of people vote for an Independent, and no one else, he or she stands little chance of getting elected. And that’s unlikely to happen because if you have ten votes at your disposal you’re probably going to want to use most or all of them. Now it may be naïve of me, and there may be good arguments against it, but wouldn’t it be fairer to let people distribute their ten crosses as they see fit? Use up all your votes for a single candidate if that’s what you want to do, or divide them five-and-five, or four, three and three. In my view this would give Independents a better chance of getting elected, and also encourage a parliament of the “best brains”. Who knows, it could even help change the entrenched “block vote” mentality and partisan nature of our politics. And that, if you’ve witnessed some of the unedifying exchanges between government and opposition, in parliament and outside it, would only be a good thing. Realistically, however, it doesn’t seem that electoral reform of any kind will happen anytime soon. Meanwhile, the parliamentary select committee that is ostensibly considering the Commission’s recommendations has not yet reported. The intention is for it to meet before the summer. But with minds nowadays understandably focused on Brexit, changes to our voting system are very much on the back burner. Theresa May triggers Article 50 to begin the process of the United Kingdom’s exit from the European Union and the first controversy is over Gibraltar! 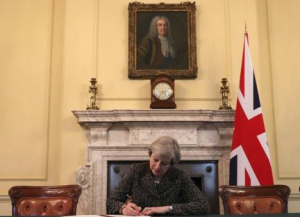 Maybe the Prime Minister was asking for trouble when she failed to explicitly mention Gibraltar in her letter to the president of the European Council Donald Tusk, formally notifying him of the UK’s intention to leave the EU. After all, a fluid Gibraltar-La Linea border post-Brexit is a fundamental concern for the Rock. As indeed it is for the Campo, especially the ten thousand Spanish workers that cross it daily to earn their living here. But there was no reference to this issue in Mrs May’s letter which, in contrast, did emphasise her government’s wish to avoid a return to a hard border between Northern Ireland and the Republic of Ireland. Chief Minister Fabian Picardo understandably sought to play down the omission, pointing out that although the word “Gibraltar” doesn’t appear, the Rock is included in the Article 50 White Paper referenced in the Prime Minister’s letter. It has however been reported that Mr Picardo asked Theresa May to include Gibraltar in her Article 50 letter but she did not. “After the United Kingdom leaves the Union, no agreement between the EU and the United Kingdom may apply to the territory of Gibraltar without the agreement between the Kingdom of Spain and the United Kingdom”. Naturally this has set off alarm bells in Gibraltar. But, despite the undoubted difficulties that lie ahead, I’m not overly concerned. I was comforted by the immediate messages of support from, among others, Defence Secretary Michael Fallon, Tory grandees Lord Howard and Lord Tebbit and Shadow Brexit Secretary Keir Starmer. There are also many UK parliamentarians ready to defend Gibraltar as they have done so often in the past. Reassuringly, Downing Street issued a press statement at the end of a turbulent weekend disclosing that the Prime Minister called Fabian Picardo and confirmed that the UK remains steadfastly committed to its support for Gibraltar, its people and – significantly – its economy. She also said that the British government remains absolutely dedicated to working with Gibraltar for the best possible outcome on Brexit, and will continue to involve us fully in the process. These are significant pledges that, ironically, might not have been made had the EU draft guidelines not sought to make Gibraltar a bilateral issue between the UK and Spain. As we face the challenges of Brexit I’m reminded of something Joe Bossano, then opposition leader, told me at the height of the joint sovereignty crisis. We’ll emerge from this even stronger, he said. And so we did with what we now refer to as the ‘double lock’ on sovereignty. I’m confident that, when Brexit is done and dusted, Gibraltar’s resilience will ensure that we can again look to the future with optimism. Author gibstevePosted on 10th April 2017 Leave a comment on ¿Como No? Is “Red Len” best for Gibraltar? The 1.4 million members of Britain’s largest trade union, Unite, have begun voting on who should be the next general secretary. The ballot closes on the 19th of April. Since 2011 the post has been held by Len McCluskey – ‘Red Len’ as he’s known due to his hard left political views. Mr McCluskey is the overwhelming favourite, having been backed by 1,185 Unite branches across the UK, representing 559,000 members. That’s more than five times the total of his nearest rival, Gerard Coyne, who’s been nominated by 187 branches. The third hopeful is Ian Allinson, an employee of Fujitsu in Manchester. He obtained just 76 branch nominations. The incumbent also has the unanimous support of Unite Gibraltar, having been endorsed by the Area Committee and each of its four branches – the MOD/ISP, Health and Care and the Public and Private Sector branches. In a GBC interview in March, an official representing the ‘Unite Len McCluskey Support Group’ said Mr McCluskey has opened doors for them both in the UK and the European Parliament and, for the first time ever, granted a seat on the National Executive Council to a Gibraltar member. Now it may well be that Len McCluskey is indeed the best person to look after the Rock’s interests. But doesn’t a union that prides itself on its democratic credentials have a duty to its members to inform them about the other candidates and what they stand for? Gerard Coyne for instance also has a solid trade union background having led Unite in the West Midlands for over 15 years. He’s considered more moderate than Mr McCluskey, and has accused the present general secretary of being the puppet master of the Labour Party and more concerned with playing Westminster politics than the bread and butter issues that affect the membership. In his manifesto he pledges to “clean up” Unite and make skills, training and apprenticeships a top priority. Ian Allinson, meanwhile, has been an activist for 25 years and is the only rank and file candidate. He defends freedom of movement for European Union migrants and has accused Len McCluskey of backsliding on this issue since the EU referendum. Three credible contenders then, it would seem. Yet Unite Gibraltar only tells you about Len McCluskey. This is borne out by the above mentioned interview and also a union press release in January that highlighted the local branch’s unanimous support for Mr McCluskey, while not even identifying his two rivals by name. Evidently the four thousand-plus local members of Unite won’t decide who the next general secretary will be. Nor may they “even move the needle”, as the Chief Minister said of the local contribution to the overall Brexit vote last June. But that’s no reason to deny them the full facts and expect them to simply do what the union leadership tells them. Author gibstevePosted on 1st April 2017 Leave a comment on Is “Red Len” best for Gibraltar?